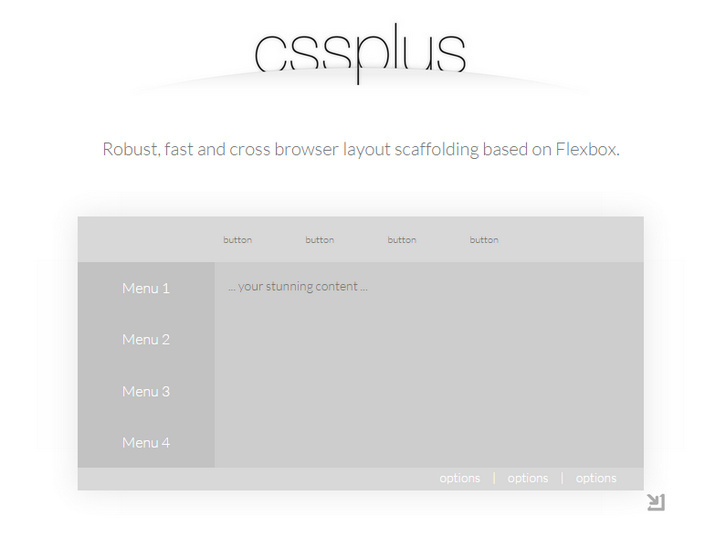 CSS Plus wants to provide a simple and fast way to make flexible layout based on flexbox modeling. This awesome css feature lets you specify a flexible container which the children can also be flexible and re-sized automatically when the size of the container changed. It supports Chrome 14, Internet Explorer 10, Firefox 6, Safari 4, Opera 12.10.